Book club marketing can yield lots of new readers for your book. All authors should consider the benefit of including questions within their book or on their website. Beyond that, various strategies can be employed to connect with book clubs. To help with that process, I’ve written a free 22-page booklet, An Author’s Guide to Book Clubs, that contains hundreds of questions an author, book club leader, or teacher can use to spur literature discussion. Use them as is or tailor as desired. Tips are also included for contacting and visiting book clubs as well. This sign-up incentive is truly one of a kind. Enjoy! Book clubs are treasure troves of potential readers often under-utilized by authors. Not to mention, a set of accompanying discussion questions can help deepen the reading experience. This guide provides ready-made questions that can be pressed into service for most fiction and creative nonfiction titles. Beyond that, explanations and examples for each questioning strategy allow an author a better understanding of how to generate their own questions that get at various aspects of a story. This guide also delivers strategies for connecting with such groups. Book club leaders may also find this book invaluable to generate questions to encourage their members to go into more fruitful discussion and to also participate in hands-on activities to bring a book to life. 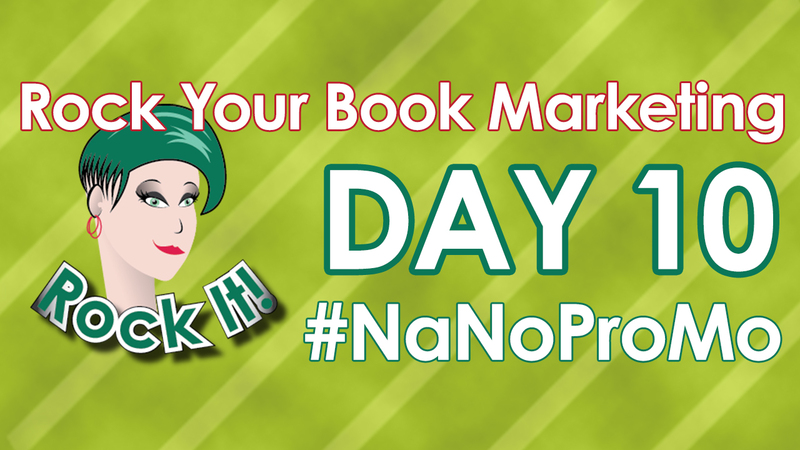 #NaNoProMo Day 10: An Author’s Guide to Book Clubs by guest @JeriWB and be sure to comment to enter to win today's prize package from Jeri (value: $150)! My expertise comes from a background in education theory. Reading does not take place in a vacuum. Meaning is made in the interplay between reader, writer, and text. The best questions are open-ended and account for basic, intermediate, and advanced levels of response. Beyond asking general questions that encourage readers to delve deeper into the seven elements of literature, applying critical theory questions from a feminist perspective or utilizing cognitive strategies such as Bloom’s Taxonomy are great starting points for in-depth discussion questions. Sitting around and gabbing about a book is indeed great fun, but what might happen if readers are encouraged to try various activities like writing character poems, conducting mock interviews, making collages, putting on skits, or recording a short video? Tons of fun. That’s what. Book clubs abound, though effort is often required to find them. Strike up a conversation with a head librarian or approach professional organizations. Sites like Meetup and online book clubs are fabulous as well. Seek and you shall find. I’ve included links to speed your search. Before reaching out to the group leader, ask if your book is properly edited and available in both print and e-book form. Does it fit the club’s intended audience? How active and passionate is the group? What can you find out about its members? Are you willing to be a guest? What type of questions might you be expected to answer? Are you prepared to answer honestly? How can you convey a friendly persona? How many copies should you bring and are you ready to sign? What makes for a good public reading? Will you provide any freebies? What experiences have you had with book club marketing as an author? In general, what makes a book club enjoyable to you as a reader? Enter to win a critique or copyedit on an opening chapter of up to 5,000 words (a $100 or $150 value) by commenting below! ...is a publishing professional focused on copyediting, critiquing manuscripts, and ghostwriting in multiple genres. I foster strong client relationships through constructive criticism aimed at nurturing growth. My approach is informed by a background in creative writing workshops, curriculum development, and composition theory. You can connect with me via Word Bank Writing & Editing at JeriWB.com to view my project portfolio or to download An Author’s Guide to Book Clubs. I’ll have to check around – I know we have book clubs in the area. One of my work friends belongs to one but she said they never read romance . I’ve seen some listed on Goodreads too but I haven’t gotten a sense of how active those are. Interesting possibility for an author though. Thanks! Unfortunately, I forget about book clubs and that’s where my readers are! This sounds like an awesome resource to both connect and offer book club members ways to deepen their reading experience. Great Idea! I will have to look into book clubs near me. Thank you, Jeri and Rachel, for this post. It came st the perfect time for me. Just last night, in #BookMarketingChat, Alexa Bigwarfe mentioned the importance of book clubs (especially for fiction writers). I was just wondering how to get started with that, then I saw your post! I added a book club discussion guide to my most recent book Shift Into Thrive: Six Strategies for Women to Unlock the Power of Resiliency and I’m glad I did. Not only can it be used for book clubs it can be used to facilitate discussions at workshops and courses at a university. I’ve done both. A talked and gifted person I’m glad to know. I have a hard time finding book clubs for young adults in my area. There’s one through our local indie bookstore has one and I met some amazing kids through visiting that one. Which led to speaking in front of a classroom. 🙂 but I see it as more of a relationship building time, and a great chance to encourage youth to read and write! Thanks for including the cognitive portion of question formation. By adding that and understanding things like satire in a book stretches the brain and helps the ethos, pathos, logos of understanding your teader’s points of view on subjects. My book club attendance has always been spotty at best, but this brings a different kind of focus to the activity, sounds like fun. Jeri is my editor and I can’t say enough about her caring and thorough approach to editing. She provides great value with her services. I love the idea of using book clubs to further your readers’ enjoyment of your books. Thank you, Jeri, for sharing your expertise! This is a terrific resource. Definitely keeping this close as I move forward toward the day when I have my product in hand and am ready for this! Thank you! This is definitely one potential marketing resource that never even occurred to me to seek out–I sort of assumed book clubs chose their own reading without any input from authors whatsoever. Great idea! I’m a new subscriber and author. I’m impressed with the wealth of information you provide. I see many topics here that I definitely want to delve into. Your site is a nice treasure trove of advice, tips, and services. I will most assuredly look into your editing services. Thank you for being so motivated to put out this wealth of information for us authors. I can’t get enough information on writing. Once again, thank you. Useful post! Thank you so much, Jeri, for the information. And a thanks to Rachel for putting on NaNoProMo!